In 1951 (or before), a farmer, Lorenzo O. Giacomelli, found a mass of metal in the ground by digging a trench to install a water tank. It remained unknown to the public until 1988 when Oscar A. Turone identified it as a meteorite and weighed it. 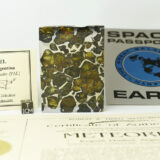 In 1992, Robert Haag, a famous American meteorite hunter, acquired the main mass and brought it back to the United States. There are some inaccuracies in the total mass. The Meteoritical Bulletin indicates 1500 kg (a totally wrong weight), Oscar Turone tells us of 775 kg and Robert Haag of 680 kg. In 2008, Argentina voted a law that now prohibits all exports of meteorites outside its territory. 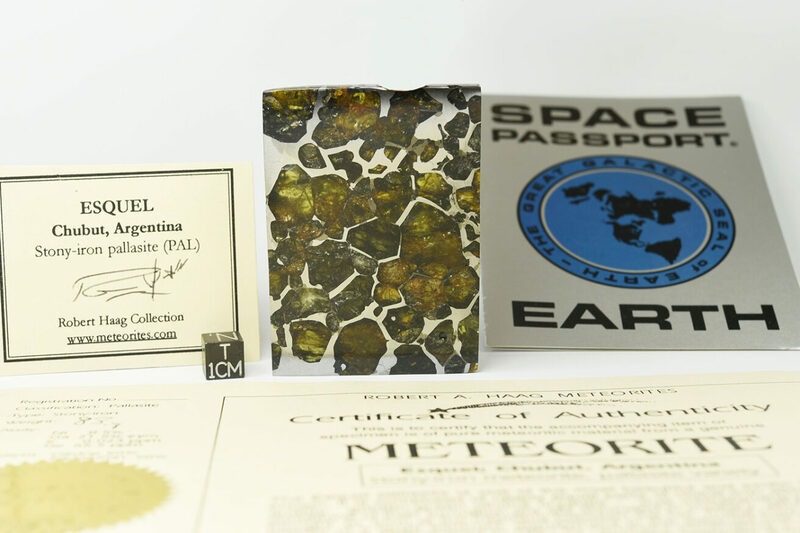 Although the Esquel meteorite left Argentina in 1992, the meteorite hunter Mike Farmer had trouble with the Argentina authorities in December 2014 while returning to the United States after a mineral fair in Asia, with slices of Esquel in his luggage. The law being not retroactive, he could keep the specimens. Esquel is considered one of the most beautiful pallasites.